It will add more interaction with the environment Hyrule. Nintendo has unveiled in its special event Treehouse, the title of this new installment of Zelda: The Legend of Zelda: Breath of the Wild. In the playable demo it has been able to verify the manner in which the Japanese company has enhanced the interaction with Hyrule, which can now scale superstores and play with the environment in our favor, using rocks to ambush enemies, trees crossing large throat or even plan using the wind. In The Legend of Zelda: Breath of the Wild, we call Sheikah Slate, a device that will help us in our adventure, and that will allow us, as if the command of the Wii U itself, build structures, consult the map, add markers or move through menus. In fact, we have to go updating it with runes, making it increasingly comprehensive and powerful, both to open more than a hundred new dungeons and shrines to manipulate materials and solve puzzles. 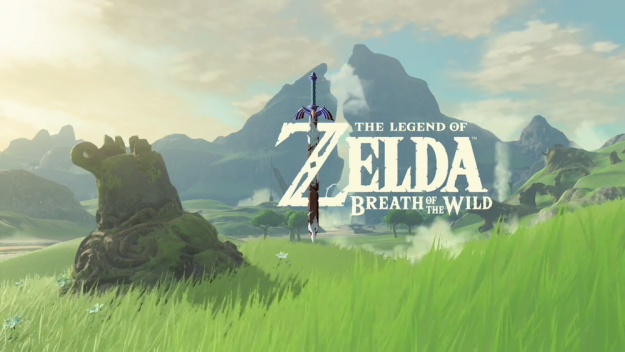 They also explained the use of music in the game, which will offer piano notes to motivate and instruct the player different objects and places to explore, fostering feelings of loneliness and establishing an emotional connection with the player, which according to Nintendo, may explore Hyrule pleasure without a fixed route. The Legend of Zelda: Breath of the Wild has an artistic style close to anime, which according to Nintendo, help players to indentificarse with the dream world arises. In the demonstration only has explored a very specific part of Hyrule, which does not represent the whole scenario, but if they have stressed that will run into huge landscapes, full of contrasts, from deserts and plains full of tall grass to snow-capped mountains, deep forests, crystalline lakes, towns or ruins. Nintendo has also stressed that the environment to explore Hyrule in The Legend of Zelda: Breath of the Wild will be greater than ever. The Legend of Zelda: Breath of the Wild has also shown different types of weather-rain, wind and how they affect Link, as well as the introduction of the horse training and combat, which seems more acrobatic than previous occasions. Enemies, which certainly will be very varied and everything from skeletons to goblins, bats through and ending with magical creatures of the strangest. This adventurous exploration and component has been enhanced greatly, even highlighting the show that started with a completely naked Link, something we will solve choosing materials to make our clothes. Food and hunting will also be vital, urging us to collect fruits and vegetables, eat meat, which can rob enemies, and cook in fuegos- and other own genre of survival and the mechanical current role. Our inventory The Legend of Zelda: Breath of the Wild will be limited, so we must be alert to what types of materials, weapons or objects behave, racionándonos quantity and assessing their importance.